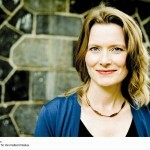 Jennifer Egan’s new book, A Visit From the Goon Squad, a national bestseller, won the 2011 Pulitzer Prize for Literature, the 2011 National Book Critics Circle Award for Fiction, and is a finalist for the Pen Faulkner Award and the LA Times Book Prize, as well as a longlist finalist for the UK’s Orange Prize. She is the author of The Invisible Circus, which was released as a feature film by Fine Line in 2001; Emerald City and Other Stories; Look at Me, which was nominated for the National Book Award in 2001; and the bestselling The Keep. Also a journalist, she writes frequently in the New York Times Magazine. /One/: In A Visit from the Goon Squad, I noted the epigraph from In Search of Lost Time, by Marcel Proust, which comments on our inevitable attempt to reconcile our current selves with the person we may have been in childhood. Do you believe that we are different people at different times in our lives, depending on our social roles, responsibilities, and relationships—that over the course of our life, we are not one person, but many? How does this insight relate to the characters in your book and your own life and family experience? Jennifer Egan: I don’t believe that we are different people at different times. A continuity exists even though it may feel like we are different people over the course of time. The passage of time has such a radical effect on all of us—the experience of time passing, the discoveries and tragedies of life. We feel that effect most profoundly when looking back through the chasm, at the version of oneself who didn’t know about all of those things that would come. To some degree, experience is everything: what happens to you ends up being your life. On the other hand, there are things about us that are clear from the beginning. I see that as a parent. And much of life is chance and luck. There is only so much you can do. It’s a paradox. /One/: Do you have certain needs that are fulfilled more from journalistic writing than through fiction, and vice versa? JE: Yes, very much so. As endeavors, journalism and fiction writing seem opposite, yet they complement each other with a perfect symmetry. Thematically, links exist between the two, for sure—I take assignments that I’m interested in, and that often means something in the journalism will find its way into the fiction. Journalism is about getting out of the house and forgetting about myself completely. Fiction can be like that too—either way, I’m not thinking about myself—but with journalism, I’m trying to synthesize a huge body of information. Some of that information consists of conversations with people, but overall it’s the phenomena of the outside world that I’m trying to understand in a complete way, and then represent in a concise way relative to how much I know—all for the reader. In fiction, I’m trying to create or suggest a world that I’ve invented. So there’s a sense of discovery and surprise as I’m writing fiction that I don’t have so much with journalism. With journalism, I’m solving a mystery: I’m a detective walking into the middle of a complicated reality: I’m taking notes, looking for clues, finding patterns and keys. But with fiction, I’m just trying to create an alternate reality. It may feel as though I’m discovering an alternate reality, but of course I’m creating it. /One/: Some novelists begin with conventional forms of narrative in early works, and then gravitate toward complexity as their skills sharpen and wary editors give them more latitude. You seem to revel in novelty. Each book that you write echoes with a different genre; your prior novel, The Keep, has Gothic undertones, even as you break the ordained rules of fiction writing. When you first began to write fiction with an eye toward publishing, did your unconventional, genre-breaking works make it easier or more difficult to pitch your work to editors? Did you ever fear being misunderstood? How did you find sympathetic eyes? JE: My first novel is totally conventional. There is nothing genre-breaking about it. I did not break any genre conventions until my third book. /One/: Were you hoping to break the rules sooner? JE: No, the story I wanted to tell for my first novel didn’t require any genre-breaking to be done effectively. So I didn’t feel moved to do that. And I don’t think I had the skills yet. My mom was an art dealer for a long time. When an artist presented her with beautiful abstractions, she would say, I want to see your drawings. My mom didn’t have much faith in those abstractions until she had seen a mastery of conventional realism. To some degree, I was trying to get my realism straight in those earlier books. The Invisible Circus is certainly ambitious in its ideas, but the structure is not anything you haven’t seen before. There is an LSD trip that I’m pretty proud of—a crazy stream of consciousness—but it’s a coming-of-age story that didn’t require radical storytelling. I was working at the edge of my abilities just to pull that off. I think it would have been out of the question that I could have done something innovative at that point. With Look at Me, I knew very consciously that what I was trying to do was different from what I had done before. I felt nervous about it. That was a book I wrote with much suffering. Some books are that way, and others aren’t. I felt so little confidence as I was working on it—as if somehow I wouldn’t be allowed to do it. I thought, you’re just not the person who does these things, so why are you trying? But I was compelled to do it, so I kept going even while conflicted. Over the years, I felt a kind of agony: the book seemed doomed. I didn’t know what I was doing, and yet I felt really moved to do it. That book was the turning point. Since then, I haven’t felt drawn back to straight conventional fiction. It doesn’t seem exciting to write that way anymore. /One/: So you like the challenge of a formal structure, or at very least you are drawn to new forms, regardless of whether it’s a challenge? JE: I want to work on stories that require a more innovative storytelling. Novelty is the fun. Covering territory that I have covered before is not what writing is to me. There are so many things you can do in the world. There are things you can do that would make a huge difference to people. You can help the poor. You can tutor kids or work for a not-for-profit. Why is writing worth one’s time and energy? Why do this? That’s always the question. If all I could do was what I had done before, only in a slightly different way, I wouldn’t have any impetus to do it. That would be a sign that I’m winding down. For now, though, I’m excited about continuing to move forward. /One/: By engaging in this process of discovery with each new work, are you hoping the reader will experience that process of discovery too, that sense of excitement? JE: That excitement is implicit—it’s what I write for, selfishly. I don’t think much about the reader as I’m working; I try to feel pleased with my work. I make the presumption that if I’m excited—which sometimes really is a presumption—that’s my best shot at exciting other people. It’s not that I’m in a vacuum. I do have a group of readers that I share work with right from the beginning. If they’re not digging it, I know there’s a problem. It’s not as though I am following my own rudder and not listening to anyone else. I’ve made that mistake once. My first novel was atrocious. I thought it was exciting and everyone else hated it. I don’t want that gap to appear again. So I am very careful to make sure that I’m connecting with others right from the start: to confirm the work has a pulse. /One/: How much do you judge the first drafts of your work? I read that you handwrite your first drafts on yellow legal pads. Do you do that as a way to keep yourself in a creative flow, in a way that you can’t find on screen? JE: Yes, that’s exactly why. I don’t want to think and judge. I just try to let something happen. I’m waiting for my unconscious mind to kick-in. Once I have the interesting material, I use my conscious mind to shape it, and try to understand it and make it fulfill whatever vision it seems it could be manifesting. But I can’t come up with the material consciously. /One/: You like to generate potentially too much material? JE: I don’t know if it’s too much—it’s often wrong. Much of it is no good; I’m just looking for the part that is good. It doesn’t matter what proportion of it is good, as long as there’s something that’s interesting. The first draft of The Keep was really, really terrible. Not much was good in there. But there were a couple of insights that proved really useful. The critical insight turned out to be that the story was being written by a prisoner in a prison writing class. I never would have discovered that if I hadn’t just written it and seen it on the page. It’s unfortunate that I had to spew out so much dreck to see that, but the insight ended up being very useful to me. /One/: When these characters arrive on the page, how much do you determine from personal experience? I noticed that in Goon Squad, there probably are characters you’ve compiled from personal experience, and others, like the cruel dictator with a penchant for soft blue hats, who I’m hoping you haven’t met in person. JE: I haven’t met any of them. I don’t use people I know at all. I’m bad at that. I find it very difficult to do, because it’s hard to know how to jump in with the fiction when you are basing it on something real. I make everybody up. That makes it simple: I don’t know any of them; I have never met any of them before. They are all strangers to me, and therefore it’s liberating to write from their point-of-view. The dictator is no more unfamiliar to me than anyone else. /One/: Did you seek to subvert the reader’s expectations regarding stock characters—such as the music mogul, the punk rocker, the confused college freshman, the Hollywood starlet? JE: I think so. The minute anything about a person has been established, my immediate question is, how do I undermine it? People are complicated, and often what first seems clear about them ends up being contradicted. That’s how I think about characterization. In Goon Squad, my first inkling that Bennie Salazar existed was when Sasha mentions to her date that her former boss sprinkles gold flakes in his coffee and sprays pesticide in his armpits. I thought, oh, that’s a funny description of a record producer. It’s kind of a cliché. We don’t really know what that means, but it seems like shorthand for decadence. After I finished the chapter, I found myself thinking, yeah, but why does he do those things? The inner logic of it was missing. It’s just a laugh-line, but it intrigued me. I thought, this guy is not behaving this way because he thinks that’s a portrait of a decadent record producer—that’s something you think from the outside. He has an actual reason for doing these things. What is the reason? And that’s why I wrote the next chapter. Let’s put it this way: if I’m writing about someone, and I’m not feeling those contradictions and even an undermining happening, I know that the character is not taking shape as he or she will have to take shape ultimately, to work. You need those contradictions for any real pulse, and that’s what I’m looking for in real life and on the page. /One/: You seek this contradiction even in a so-called flat character, who provides a function in a scene, like a waiter in a restaurant? JE: To me, if someone is coming into focus at all, then I’m looking for complexity. Even a peripheral character. In a way, Goon Squad is literally all about the complexity of peripheral characters. That’s the whole logic that moves the book forward. You catch someone out of the corner of your eye, and then you’re plunged into the middle of their inner life. If that’s not a testament to the complexity of peripheral characters, I don’t know what would be. That’s the whole question the book is built around. That’s opposed to a more conventional book, where one of the big questions on the table is usually, what is going to happen? That’s not the question that drives you in this book. It’s much more a question of, what did that used to be like, or what did the world look like to that person, or what was that person thinking at that moment? Those questions guide the reader. If you’re not interested in those kinds of questions, I don’t know if you really want to read this book. The question of what will happen is not really on the table. We’re moving around too much. And I answer that question frequently: I tell people exactly what will happen. I leap into the future sometimes. Again, it’s not really that curiosity that’s compelling the reader along, it’s some other kind of curiosity, it’s a curiosity about the inner-lives of people who may appear clichéd on the surface. /One/: In Goon Squad, you have many different voices and worlds that you are weaving together. JE: In a way, it’s sort of a microcosm of what I’ve tried to do from book-to-book already. But in Goon Squad, I just tried to do it chapter-to-chapter, to create a book that is diverse as possible, with a huge range of tone and mood and approach, and yet still have it be one story. There’s always a basic technical challenge to each book. That was the challenge here. /One/: Were you concerned about maintaining a narrative thread, or did you find it to be relatively easy once you got going, that you were able to take a minor character in one chapter and have that character reemerge later, and trust the reader would be able to stay on board with you during that journey? JE: I knew that was the big danger of this book. That’s a danger even when you have only two stories intertwining—the reader will prefer one. So I knew that was the big question mark: would the reader be able to rise to the occasion with me, would I make it worth the reader’s while? Even though I don’t stress out about what the reader is thinking, I was on some level thinking about the reader when I made the rule that each chapter would be completely self-sufficient and not require anything around it for context. I’m asking much of the reader to start over every time; the least I could do is provide a big payoff every time, so we’ve had a complete experience every time. I hoped such a payoff would make the reading experience less onerous and more fun, reorienting the reader every time as well. /One/: Many people have discussed a Facebook sensibility to the narrative structure, and you had mentioned The Sopranos as an inspiration in another interview. At the same time, some of the storytelling techniques seem reminiscent of sprawling Victorian novels, with narrative flights into omniscience, and minor characters who surprisingly reappear in later pages as major characters. George Eliot’s Middlemarch is a classic example. Were these literary classics on your mind, or were you just writing to meet the needs of your particular work, and not really thinking about categories and the history of literature? JE: It’s both: I was writing to meet the needs of this particular work, but I’ve been interested in nineteenth-century fiction for a while. It’s held up to be a bastion of convention, and yet if you really tried to emulate what those people were doing, you’d look like a mad person. Those works were free and flexible and able to do a lot more than most conventional fiction nowadays even tries to do. The other big inspiration for the book was Marcel Proust; he was not of the nineteenth century, but he had a kind of nineteenth-century sensibility, edging into a modernism of his own. He had an interest in the play of consciousness that in some ways is very much like James Joyce—but obviously the outcome is extremely different. I was reading Proust in my forties, and I thought, how would you write a book today about time? Proust does it in all kinds of interesting ways. He uses music both as a subject and as an organizing theme; the book works very musically. He lets the book unfold in a kind of real time; I mean, it’s so long, significant actual time passes as you read it. All of that is interesting to me, but I believed there would be no way to replicate that now. I would have to find a totally different way to write about time. I sensed that music would have to be an important part of this work; time and music are so intertwined. My question was, how could you suggest that great big sprawl of a nineteenth-century novel or early twentieth-century novel like Proust, and yet not have to create all that sprawl? How can you find a way to evoke it, without having to writing it all out? That’s what I wanted to do—suggest enough of the context that we feel its shape. /One/: In Goon Squad, aging punk rockers rhapsodize and feel sentimental about the past. An art historian imagines himself becoming one with a crumbling Italian building. Such effects of art and music help defy time and its linear nature. You also have a main character in the novel who is a thief. Do you see time as the ultimate thief in the novel, and art and music as ways to defy time? JE: Time was definitely my ultimate preoccupation, but time is at once an obvious and dull subject: time is passing; things change. I was interested in that as a deep pulse, but there also needs to be surface play to make a book lively, and I focused on that as my main concern. /One/: Writers shine a light on illuminating truths of the human condition. Yet many of your characters are disingenuous. You have a thief, and many of the characters have criminal records. We already talked about the dictator. Was there thematically something that drew you to thieves, liars, and scoundrels? JE: I don’t know if they are more thieving and lying and scoundrel-y than your average group of people. I’m not sure it’s so out-of-sync with normal life. As we all know, there’s a dissembling that’s a part of everyday life, and I’m interested in that chasm between the public and the private. In Look at Me, there’s this whole idea of the “shadow self.” One character is always looking at people and trying to find what she calls their “shadow self,” the true self that they’re trying to keep hidden from their more public persona. In my writing, it seems that I’m interested in that divide. Early on when I was working on Goon Squad, I published the first chapter about Sasha in The New Yorker. A friend said to me, if people were interested in what our society’s private life was like at this moment in time, this story would be helpful in answering that question. That really resonated with me. I thought, I’m really interested in that. I’m walking around looking at people, thinking what are they like to themselves, when no one is watching? There is no way to know. Those questions preoccupy me. In deceitful people, the chasm between who they are to themselves and who they are to other people seems even greater. /One/: You often portray your characters with sympathy and understanding, in spite of their flaws. JE: As a fiction writer, there’s no point in judging. That’s just so boring and didactic. To me, if you’re going to write about someone, it’s not that you have to make people think he’s perfect, but you have to find a way to reveal the inner logic of what he does. If you can’t, it’s going to be terrible. So that’s always my goal. I don’t say, oh, I’m going to write about a scoundrel—let’s see what the inner logic of his or her action is! It doesn’t happen that way. The inner logic is there well before any judgment exists. I’m looking at it from the inside. /One/: So you observe, and you do not judge? JE: Yes, but sometimes readers don’t like that. I’ve had people say to me, these people are weird, they’re bad, do you know people like this? I don’t know what to say to that. I feel like this is how people are—we are all complicated creatures. The reason everyone thinks their family is crazy, for example, is that they know their family very well. That’s a sign that most people are “crazy,” in quotes, if you look closely enough. I’m interested in looking that closely. /One/: Many of the characters seem sentimental about their past—the punk rockers in Goon Squad have a surprisingly sentimental air to them. Yet you present their stories without sentiment. Do you see a difference between sentiment and sentimentality? JE: Sentimentality is coercive. As a reader encountering sentimentality, I am manipulated to feel certain ways. I loathe that. I react with coldness. The minute I sense that happening, I just freeze up, and I don’t react the way the writer had expected. Sentiment—I don’t know how I would define that exactly, but to get to your point about characters looking back, I sympathize with their nostalgia, but I am not interested in nostalgia from a literary standpoint. It’s this vision—an earlier golden time, and how sad it is that it has passed. It’s fine for a character to hold that view, but I don’t think it makes sense for a book to hold that view. When I first arrived in New York, I found it worrisome to talk to people who had been in the city for ten or twenty years. Guess what? All of them felt that things had been better ten or twenty years ago, when they were new to New York. There is this tendency to universalize one’s own experience and impose it on the world as a trajectory of the world’s experience, and there you are, welcome to the world of older people saying, the good old days. I don’t buy any of that—even though at 48, I absolutely feel nostalgic for the past and worried about the future. Yet I am conscious of the personal nature of this feeling. My first novel is overtly nostalgic. That’s the point-of-view of the book. It’s about missing the sixties, an aching longing for that time. Lyricism tends to accompany nostalgia in a literary endeavor, and that can be quite lovely. But I was done with that at 31. I hope that I would not return to such subject matter without many other layers of complexity. So yes, the characters are nostalgic, but I am not nostalgic for them. I think that’s the difference between sentimentality and sentiment. /One/: You live and work in New York. Many writers need a specific setting and community in which to flourish, and they even write about that place as if it were another character. How important is your community to your writing, both for the process of your writing and within your actual text? JE: I have a multifaceted answer to that. I adore New York. Brooklyn is just one sliver of New York—it works well to be here with children. I don’t know if it’s made it easy for me to thrive as a writer, but it’s helped me a lot. Interestingly, what I love about New York is not necessarily community; it is, in part, anonymity. It’s bursting with so many worlds that are rich and complicated and don’t give a damn about the literary world. I really love that. I love the fact that it’s crowded. I get scared in the country. I don’t like the feeling that everyone is asleep; I like to know that someone very near me is wide awake—even though I need to go to bed! Of course, I used to partake of more of the action than I do now with kids—I certainly stayed out late and drank too many margaritas. Even as I committed excesses or sometimes couldn’t work as well as I wanted or had a hangover, I knew exactly what I was trying to do, and I was always thinking of what needed to get done. In my twenties, I was pretty serious. You might think being surrounded by other writers would be sustaining, but I don’t think that has mattered much. I do have some friends who are writers, and I adore them, and I definitely have relied heavily on my writing group, whose personnel has changed over the years, but the basic spirit of it has remained steady and a couple of the people have, too. It’s hard to imagine functioning without them. Yet I’m also not sure I couldn’t have replicated that somewhere else—you know, there are people all over the place—although maybe not, I don’t want to take it for granted. New York is so inexhaustible, and that’s what has been so invaluable to me. There’s just so much here, any direction that you look. There’s a Vivian Gornick essay that I adore—I think it’s called, “Nobody Watches, Everybody Performs.” It’s about the sheer performance inherent in street life in New York. I’ve never owned a car. I love to walk. I love the subway; I’m thrust up against, often physically, people that I would never have occasion to talk to in normal life or meet. That’s gold. There is no way that I could replicate that experience elsewhere. New York has been critical not so much because there are a bunch of writers around, but rather because there are so many other kinds of people around. /One/: Even though you write about punk rockers in Goon Squad, I found an appropriate quote for this novel about music from another musician, the composer Aaron Copland—like you, he mixed pop and serious culture in his work; for instance, he adapted cowboy tunes for ballet scores about Billy the Kid. Copland writes about polyphonic music, or music with many voices, “Even supposing that you do not hear all of the voices equally well, there is every likelihood that when you return to it again, there will be something for you to listen to. You can always hear it from a different angle.” Do you hope that when readers return to your book, which has so many voices in it, that they will find new passages and understandings? JE: It’s funny, when you were reading the Copland quote, I thought, that’s how I feel about living in New York! I’m always ecstatic when people say they have been moved to read my work more than once, yet I never engaged in the fantasy of a person going back and reading Goon Squad repeatedly. I was focused on how the reader would navigate the book and have a real experience in a single reading. /One/: As Keats says, “Unheard melodies are sweeter.” Is there some poignancy to the fact that the characters’ lives spin around music, but as the reader, we cannot hear the tunes? We can hear the lyrics sometimes, but through the writing, we can’t actually hear the music. JE: I didn’t think of that as poignant, but it is a funny tension whenever you are writing about music. In Goon Squad, I wrote a chapter in Powerpoint, where the character, Lincoln, discusses how musicians use pauses in their work. One funny thing about working in Powerpoint: I could represent pauses visually, which obviously I couldn’t do only in text, where all I could say was, “There was a pause.” Which of course was not actually a pause. Creating those pauses visually in Powerpoint was really exciting. Even though I feel worried about the future of the book and all of this wacky digital media, the idea of adding new dimensions to a novel is exciting. Powerpoint allowed me to do that. I cannot take that away from it—hard as it was to use it to write fiction. I ended up creating a color version of the Powerpoint presentation, which I worked unbelievably hard to create. It’s on my website. You can watch it as a slideshow, and you will hear all the songs that have pauses, which Lincoln discusses: ten seconds of music with the pause inserted. In a funny way, that was my chance to provide a soundtrack. When I look at the printed book chapter, that doesn’t even look like the real Powerpoint to me anymore. Now that I know what it looks like in color, I just feel, ach, how can I even look at it in black-and-white? It lacks that vibrancy. So, for me there is a soundtrack. And many of the music groups that I reference really did exist—anyone who has a memory of that time in music will be able to conjure a sense of the sound. Proust writes a lot about a composer called Vinteuil. In Proust’s text, this composer wrote a particular melody that comes up again and again, and of course, we can’t hear the melody. I don’t think that’s a problem. I feel like I can conjure the music; I can create it myself. I don’t need to hear audio. If fiction is doing its job, we can conjure the sound for ourselves. This entry was posted on Wednesday, June 1st, 2011 at 9:54 am	and is filed under Interviews. You can follow any responses to this entry through the RSS 2.0 feed.